The Soque River in Habersham County GA is uniquely contained entirely within the county boundaries and makes up the northernmost portion of the upper Chattahoochee watershed in northeast Georgia. 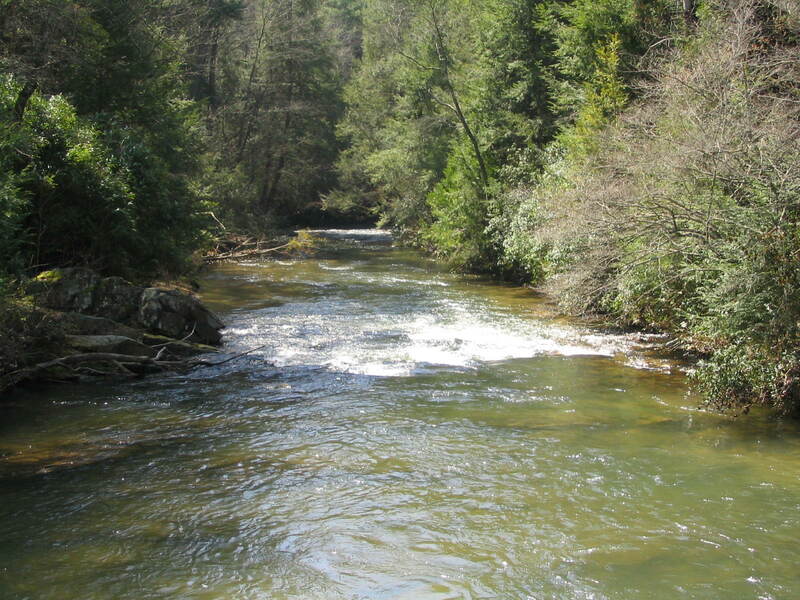 Tributaries to the Soque River begin in the Tray Mountain Wilderness Area and form the Left and Right Fork Soque Rivers (aka west and east forks) as they descend into private agricultural land and farms in the Soque and Goshen Valleys in northern Habersham County. The Left and Right Fork Soque Rivers merge just south of GA Hwy. 356 and north of unincorporated Batesville to form the Soque River, renowned as one of the finest trout streams in the southeast. The Soque River extends for approximately 30 miles through mostly private land alongside Scenic State Highway 197 and through the heart of Clarkesville, Georgia before finally emptying into the Chattahoochee River in the southwest corner of the county. Due to the fact that there is very little public access to the Soque River, private land with frontage is highly desirable and is considered a good long term investment by just about anyone familiar with real estate values in the area. Soque River property values have seen rapid appreciation in the last 10 years as the once “little known secret” of trophy trout fishing on the river has become widely known among trout fishermen and outdoor enthusiasts. Water temperatures on the upper Soque River are ideal to support prolific numbers of trout while land owners and local trout fishing businesses insure that the river is re-stocked annually and the fish well fed to maintain their trophy size. 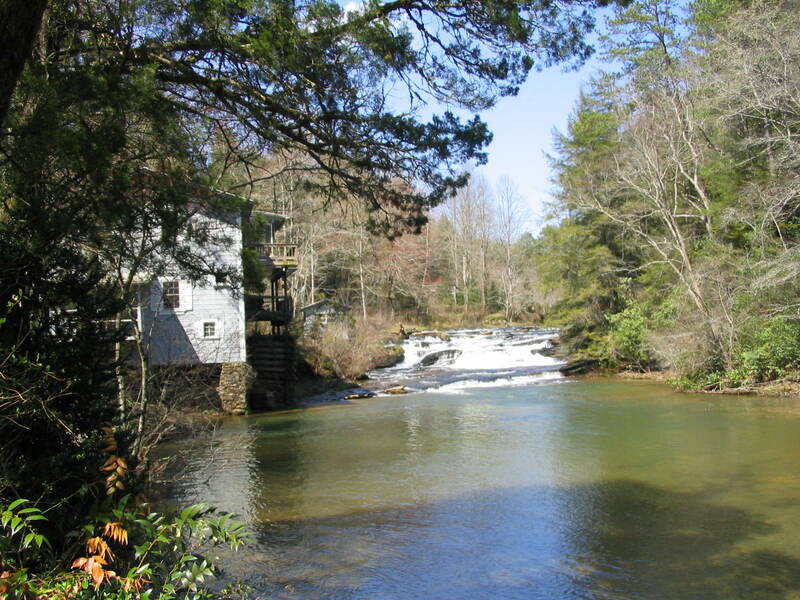 If you are looking for trout stream property in the northeast Georgia mountains, consider a home or lot on the Soque River for a primary or second home residence. 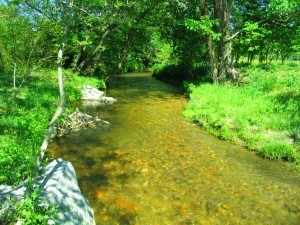 Moving to Habersham is a great resource for researching, locating, and purchasing your Soque River property. Call or text Dale Holmes, Owner/Broker, Headwaters Realty at 706.499.0367 if you want more information about river, lake, or mountain property in northeast Georgia. You can’t fish at any part of the river in front of Mark of the Potter. I own that business and land and it is private property. The remainder of the Soque river is probably owned by other persons. You would just have to contact them to ask if you can fish on their property. I know Ted Turner owns the river property on the Clarkesville side of Mark of the Potter. I replied to your post regarding fishing on the Soque River. I own Mark of the Potter which is on the Soque River. I own that part of the river upstream and downstream to the bridge. The reason we don’t allow fishing on our property is because we have a deep pool where trout that we have put in the river live and multiply. We have fish food machines on the deck overlooking the river at Mark of the Potter where people can feed the fish. It keeps the trout protected and fed. They are like pets to us and we even have names for some of the trout. They stay right there in the pool area, sadly, however, sometimes when there is a storm and the water becomes very swift we lose a few downstream. We consider these trout our friends and protect them. I’m sure there are open areas on the Soque where people can fish. You would need to check with the Wildlife and Game office to find these areas. Come by Mark of the Potter sometime and feed our fish! With respect, feeding those trout pellets may keep them fed and fat but it takes them out of their instinctive feeding habits on aquatic insects, leeches and sculpin minnows. It is not good to pellet feed trout, which a lot of property owners on the Soque do. This disruption in their natural eating cycle also disrupts their reproductive cycles which is why this river always has to be restocked and their are not prolific amounts of wild fish in the Soque as there should be. I believe every inch of the Soque is pellet fed now by private property owners with the exception of the short public fishing area just downstream of Blackhawk. After a recent fishing trip there I can tell you that trout are reproducing in the river as I caught some little trout below stocking size. I can also testify that the trout are regularly caught on very tiny flies that imitate tiny hatched insects that trout feed on daily and instinctively in spite of augmenting their diet with pellets. These property owners are not doing the trout populations and goo at all! If they would check with the DNR they would tell them exactly what you said or check with Trouts Unlimited!!! I’m glad the flood waters move the fish around in the rivers, that way others can enjoying catching them. I am a catch and release fisherman except now and them I love to grill some smaller trout! Great looking and informative web site Dale! Thanks for your time this morning. I live here on Lanai..in Hawaii . where its my home.. and I saltwater fly fish here..
My first trip pulled off along the right of road with fishing gear in hand and before we could get our dog and bait out of the car, were greeted by a man announcing Ted Turner was his boss and he owned the water and we couldn’t go fishing there it was private property. We have been fishing along the public area since, never catch much nice wading the cold waters as I have a rare skin condition and do not sweat, so the wading is good for me cools me naturally just what the Doctor’s ordered, since they have no cure for it , outside of going to Alaska, and beautiful, so beautiful does a body and soul good to just stop and wad aa bit, take a camera, you will be glad you did. Good Lord willing I will live there one day as it is so good for me! Enjoy the locals that want to talk with you, always impress me, makes me thankful they feel I am at one with them and nature, melding of the spirits, they are helpful, unlike the Turner guys that will run you off if you stop on their beautiful property. Could you tell me where this property is that the man ran you off the property? Was it off Hwy 197 or Hwy 255? Absolutely right, GA water rights do not include the water itself in private property ownership. If you put in at a public access then you have the right to float thru private property and fish. You just can’t anchor or get out and wade. Owner’s own the river bed to the mid point but not the water itself. You even have the right to cut down any fencing or wires that restrict floating thru someone’s private property IF the river is navigable. Charles you sound like a river snob on your post above. It ought to be against the law to feed the trout in any stream. It makes them totally dependent on the fish food. They get four times their normal size, only to be caught over and over and over again sometimes three and four times a day as you lease out your land for hundreds of dollars per day. You think you’re doing them a favor by feeding them. Really what you do, is to torture them by getting him caught multiple times per day. People that lease their land to guides on the Soque are nothing but a trout pimp. The people that owned property on the Soque had every right to have private property, but they shouldn’t have a right to make trout depended on their so-called good intention of feeding them only to prostitute them. I live in Habersham County and I called the DNR concerning the waterway issue. The DNR told me that in GA (at least up here) if a person owns both sides of a river they own the access. They also told me to be careful if I test that law because I will lose. There are very few public access points to the Soque River but that’s where I fish. No problem fishing there. State law repealed the no-float rules. It’s okay to fish anywhere now. You are wrong. And at some point while floating you will come to a shoal or extremely shallow area. At said shoal or extremely shallow area you will touch bottom. At that point you are trespassing. To go further a person who owns the riverbed also controls what is done on said property. 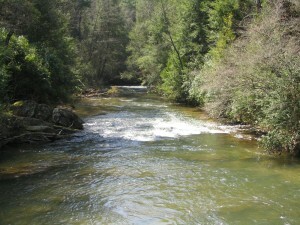 The Soque and upper section of the Toccoa river are considered non Navigatable and thus property owners own the river. The chatahoochee river below Buford dam would be an area considered Navigatable and is not owned by the property owners. Economy Light & Power Co. v. U.S.
, 256 U.S. 113, 122 (1921). Law abiding citizen is spot on. But here’s something to also consider. A large amount of the property owners who control the access to the river feed the fish on a daily basis. If you look at homes for sale on the river you will often see automatic feeders in the trees and/or hanging over the river. These people deserve their privacy and should be respected for what they are doing. If the entire 18+ miles of river were opened up to the general public to fish at their leisure the trout population would be decimated within a year and the only fish left to catch would be the little stockers that are poured into the river during the season from the hatchery. I personally appreciate what the land owners on the river are doing and I’m more than happy to occasionally catch one of those monsters on the one mile stretch of public access that do occasionally break away from private land. If you’re not from around here and you don’t have the time to fish frequently in this area and you really want to catch, pose for a picture with and then release a beast, hire a guide and fish at Black Hawk or Brigadoon for a day. There are other places you could get a guide to take you on the river as well. One last thing, PLEASE pick up your trash and take it with you when you leave. I wish that law enforcement would set up camera’s on the public stretch of the river and start writing $1000 fines to the slobs that leave their trash along the bank. Anyway, that’s just my two cents worth! We are new to the area and are wondering what is the proper pronunciation of Soque. Is it a long ‘o’ sound? Great question! A common local pronunciation for “Soque” is the long “o” sound, with emphasis on the second syllable, as in “so Qwee'” You will also frequently hear a slight variation on the pronunciation, which is “suh Qwee'”. The word “Soque” is cited to be Cherokee in origin and is more formally spelled “Soquee”, especially in older references. Too bad about so many of the comments I just read. Every state that I have been in has a Wildlife “Management” Program. Maybe the state of Georgia should look at states like Montana or any state that is successful maintaining a trout population,a great fishery and providing public access. I guess the Soque River is about private business revenue and personal status and not about the American sportsman and the sharing of a great natural resource like so many other places across this country. As far as claiming the river provides access to “TROPHY” trout fishing via a guide service is unfair to the places that provide this in a much more natural way. The impression after reading some of the comments is that fishing the Soque River is like fishing someones private stocked fish pond. I am an avid fly fisherman and respect the outdoors. To fish a natural fishery one has to watch and learn the hatches the water the weather and so on overcoming the challenge a natural fishery presents. It would seem the Soque is a fishery that has been trained to react to the shake of a mechanical feeder or the pelleted water from a handful of fish food. I write these comments not with resentment but with the understanding the limits of fishery management here in the east. Georgia has a wonderful amount of public access for trout fishing for a state that can barely even maintain trout populations through the summer. The unfortunate truth is that most georgia trout streams contain too much calcium and other minerals, and through some science that I am unfamiliar with, this prevents fish from reproducing naturally. Obviously this is not always the case, as there are a handful of places in the state where trout reproduce naturally all year, and a handful more where trout WOULD reproduce naturally if the population wasn’t decimated by spin fisherman every year. 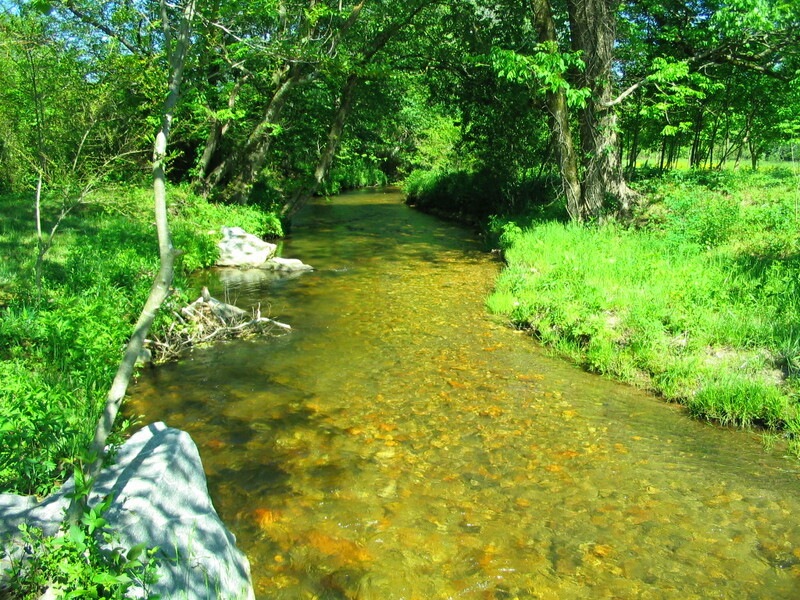 Georgia has hundreds of thousands of anglers who frequent the trout water here, but only a few thousand miles of trout stream to offer them. And of those miles, even less are suitable to fly fish. Almost no where in the state do fish get as big as they do on the soque, primarily because of the extreme pressure and high numbers of fish an individual can keep. So don’t hate on the private soque water or compare it to Montana or the west. The ball game is simply different here, and it’s a miracle and a blessing that the state of Georgia even has trout to fish. My friend’s family owns a long stretch of the Soque that I have been fishing with him since the late 80s. They have never fed the fish, nor stocked it. There is a wonderful scattering of trout (mostly bows, but an occasional brown). These fish are beautiful specimens, healthy, and typical size proportional. Unlike a few of the fish you occasionally see pictures of. Although there are some smaller fish, the typical runs 16-20 inches. The largest I’ve caught was 28″. What a monster. The only exception to this is a hole near the top of the property, the “honey hole”. We always thought that spot just held more fish because of the terrain. One afternoon we were fishing up there and saw a “Mark of the Potter”-like frenzy begin. We realized they were feeding 50-100 yards upstream and a few pellets had made their way down. Now a lot, but enough that the fish knew what was up. We always save a little time at the end of our fishing for that spot. It’s a great way to finish out the day, but those fish up in that hole kind of lost a little bit of prestige vs the other ones spread out throughout the other parts of the river. Not sure exactly what my point is here, except to say I can see both sides of this issue. I’m wondering if the Georgia DNR stocks the Soque? If so they do this with GA resident tax dollars. Don’t be foooled that only licenses support this. The fish are the property of the citizens of GA. The DNR is only a caretaker. I suggest that all GA fishermen join together and stop the DNR from stocking any GA river when the majority of the river is privately held. Let the land owners and the guide services which pay the land owners stock the river themselves. Soque river about .6 miles below Mark of the Potter on HWY 197 is owned by the US Forest Service (Both sides). It can be fished for approximately 1 mile south and it is within forest service land until it crosses under 197. This section is heavily stocked. There is a chance to catch a big trout here as some will wash down from those pellet fed pools upstream. They are other small areas further south and you will defiantly need to know exactly where they are or you will be trespassing. This is the only section that is stocked by the state. No private property is stocked. All fish on the river belong to the state regardless of what people say. The water also. Not the land under the water unless the state or nation owns both sides. If a private owner owns one side and the state/nation the other side, you can only fish from the state/nation side. Thanks, Dexter! That is exactly what I needed to know….where the public spot is. You have made my day….I plan to talk my hubby into stopping at that spot during our short visit to Habersham County. Best of luck on your next fishing adventure!